11 weeks. 77 days. 1,848 hours. 110,880 minutes. 6,652,800 seconds. While not all spent in lab, these numbers represent the time of a summer spent learning, exploring, and discovering. At the conclusion of this week, the team’s full-time work in Bindley Bioscience Center will conclude as class begins after a brief respite. While there is still much to do, much has already been done. Now, the team is looking forward to the school year’s accomplishments as time continues ticking toward the Giant Jamboree in Boston at the end of October! A heartfelt thank-you to everyone who has supported this endeavor; it would not have been successful without you. 1. Development of theoretical genetic constructs for both phosphorus uptake and organic nanowire components of the project. 2. PCR amplification, digestion, ligation, gel electrophoresis, and transformation of individual M. phosphovorus genes into E. coli. Currently testing for functional characterization and protein expression. 3. In collaboration with the USDA National Soil Erosion Research Laboratory, construction of a prototype bioreactor from 5-gallon buckets, tubing, water filters, and an aquarium pump with complementary MATLAB model and silica beads for bioencapsulation. 4. Participation in InterLab study to standardize fluorescence units. 5. 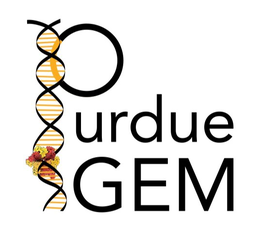 Collaboration discussions and activities with Exeter, Northwestern, UNL, UChicago, SVCE, and Rose-Hulman iGEM teams. 6. Human practices and outreach including fully-funded Experiment campaign, award of SYNENERGENE grant, a booth at the Wabash River Fest, media coverage, and a survey assessing knowledge of wastewater treatment practices that you can explore here if you haven’t already.